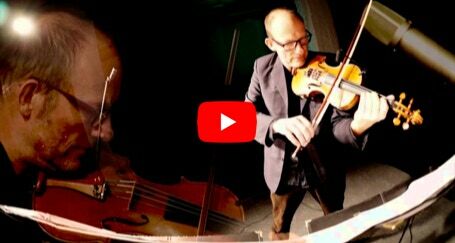 A solo concert, first with the violin, which has existed for about 300 years, then in comparison with the gothic fiddle, whose construction is another 300 years older. At stake is Maurer´s Play, sometimes fragile, sometimes poetic, sometimes wild, sometimes fragile. "Redesigned Improv" and an acoustic remix, of course by Max Bruch. "Far away from any tortured mishmash or multiculturalism, he creates moving moods of warm melancholy, sensual power to ecstatic expression, often at the edge of pure abstraction. 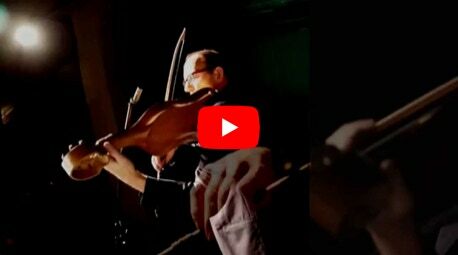 Maurer&apos;s technically outstanding playing contains an energetic power and dynamic that produces tension from meditative concentration, devotion and limitless musical curiosity." Diese beiden Trailer stammen aus einem Konzert in der Reihe Chamber Remix Cologne.